From growing your own herbs to farming, harvesting crops are both a beloved hobby and successful way to make a living. Regardless of how big your crops are, there are helpful equipment and methods to help make growing easy. Check out these great tips for greenhouse growing. Even if you are a professional agriculturist, switching to greenhouse growing is a different ball game. Check out these 7 tips for successful greenhouse growing to take your success to the next level. 1. Remove only what you need from your crops. One of the biggest problems new harvesters face is frustration with the rate of progress. One way to fix this is to take only what you need from your crops. For example, when growing cucumbers, why take the whole vegetable when you only need half? If it’s possible to cut off only what you need, do so! Use cling wrap to cover the remaining portion of the plant. Vegetables will stay fresh longer and your crops will grow more efficiently. 2. Use bubble wrap to insulate your greenhouse. Although your greenhouse will help protect your crops and plants, the harsh winter’s cold can still affect greenhouse growing. Since you don’t want to spend an inordinate amount of money on heating your greenhouse, bubble wrap can be a cost-effective option. Bubble wrap works especially well for insulating glass panes. 3. Insulate plant containers during fall months. Before the frigid months come around, try to insulate all your potted plants with bubble wrap. It just creates extra warmth for your plants and crops and further supports your greenhouse growing. Terra cotta pots should especially be insulated. 4. Stay away from local garden centers. Greenhouse growing can be as costly or cost-effective as you want, depending on what type of accessories and supplies you use. One of the biggest mistakes people make is using local garden centers to grab supplies. The supplies and products here are usually marked up quite a bit more than office supply stores or major retail stores, like Walmart and Target. You can even grab your greenhouse growing supplies from online stores, such as Amazon. 5. Hang up your bananas to help ripen your tomatoes. Tomatoes are probably the crop that takes the longest to grow. 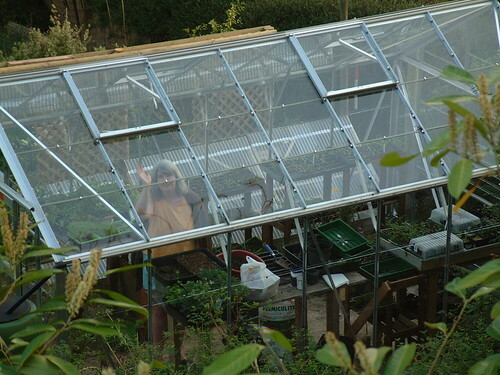 They often frustrate people with greenhouse growing. Bananas can speed up the process by releasing ethylene. The gas helps ripen tomatoes faster. This is a great DIY tip from some of our professionals. 6. 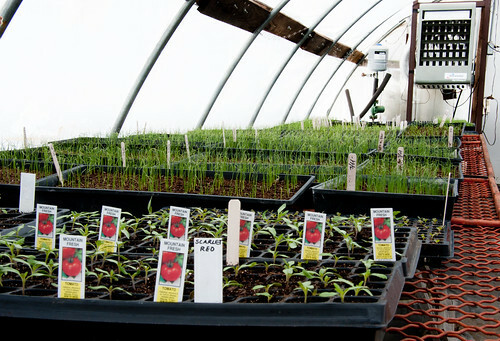 Talk to an expert to help position your greenhouse. If you are struggling with greenhouse growing, you might want to move your greenhouse to a better position. Most greenhouses benefit from at least three hours of direct sunlight per day. Any longer may cause temperatures to rise and can damage plants by taking away from proper ventilation. If you need advice, ask a professional about positioning. 7. Choose the right size for your needs. One of the greatest things about greenhouse growing is that there are so many sizes to choose from for your portable greenhouse. Start off small or go right to the big options. Whatever your needs, you have options when it comes to greenhouse growing. Whether you are a gardening enthusiast or a professional agriculturist, greenhouse growing with our portable shelters will help improve your plants and crops.